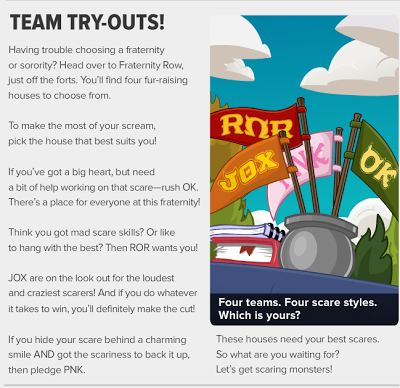 Disney's first ever Monsters University Takeover party on Club Penguin for 2013 has arrived. This party is based off of the Pixar movie Monsters University. The aim of this takeover on the island, is to choose a team, and compete in the Scare Games (I'll get to it in a moment). 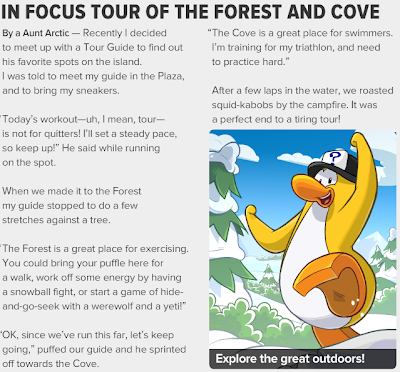 You can collect items and meet new penguins along the way. So without further ado, here is my Club Penguin MU Takeover cheats guide! I choose OK. Because they have cake. Once chosen, click on your map and click "Go There!" 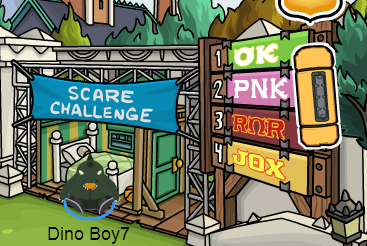 underneath the Scare Games banner. You will head into the main Monsters University room. 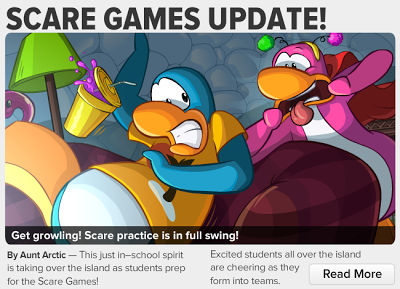 Now, the Scare Games is where all four teams compete by scaring fake robotic penguins as they sleep. 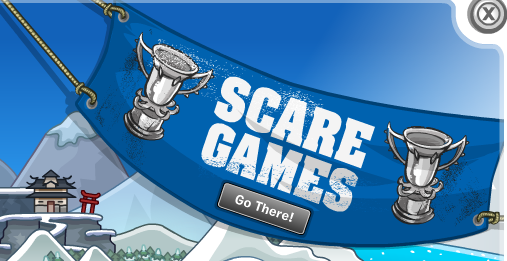 The aim is to scare as many penguins as you can in order to obtain the most coins/points for your team. When you head into the penguins room, you must creep over to their bed avoiding obstacles on the way, and attempt to scare them. The controls are left and right arrows, up and down arrows, and spacebar. Try to keep the penguin asleep until you come close to them. Be careful to jump over obstacles, or you may wake up the penguin!! When you are close to the bed, hold down spacebar whilst stepping on the red pad to scare the penguin more. With these points, items can be bought! Wear them and dance with them to roar and scare other players. A whole page of items is released every day! There are four new emotes for the MU Takeover. 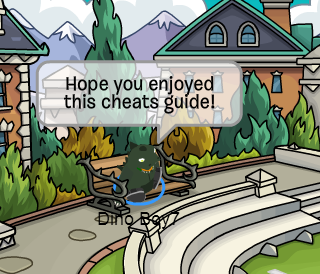 I hope you enjoyed the Club Penguin Monsters University 2013 cheats guide. Come back soon for more Club Penguin Cheats. This website also has parties, unlock codes, trackers and more! 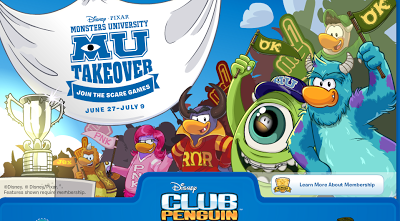 Yes, the Monsters University takeover is on Club Penguin. There are a bunch of features that have all been noted down in my cheats guide on this very website. There is also a freebie you can unlock with a code. 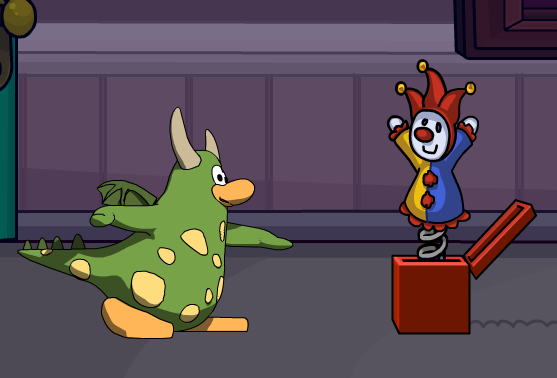 You will get a JOX monster costume to wear on your penguin. Use my guide to find out how. 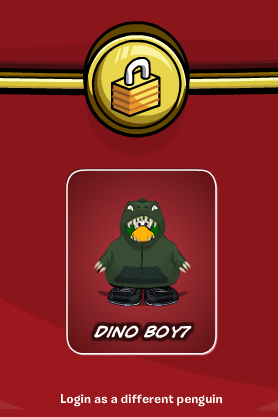 Log in as your penguin. 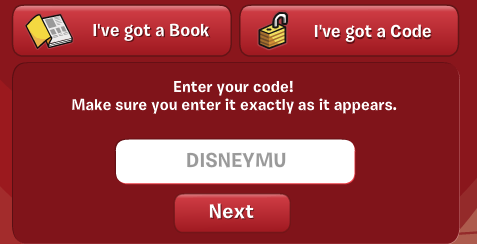 Enter the code "DISNEYMU" into the box. There you go! Wear it with pride, penguins. Club Penguin have released a new pin on the snow covered island! 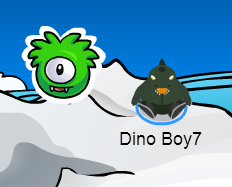 It is called the One Eyed Puffle Pin, and is hidden at the Iceberg! To get more in-depth with this pin, use my Club Penguin Pin cheat guide below to help locate it. There is a step by step tutorial to help! Log on to Club Penguin. 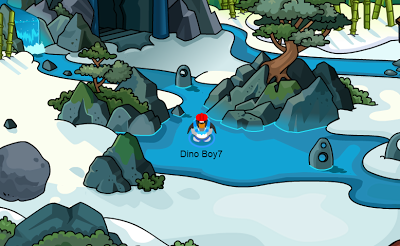 Click on your map and select the Iceberg (hidden in the top right corner). 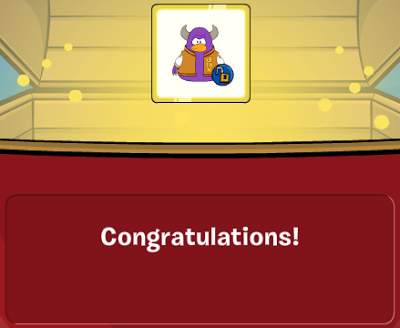 Waddle over to the tip of the iceberg and click the puffle pin. Congratulations. 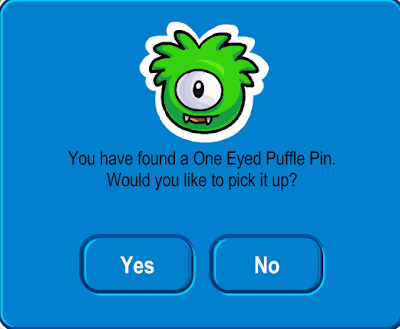 You now have the newest pin on Club Penguin: One Eyed Puffle pin! Hey there penguins! 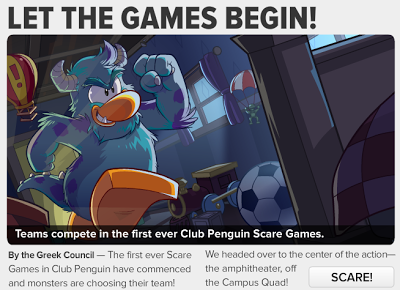 The 401st issue of the Club Penguin Times Newspaper is here, and it revolves around the new Monsters University Takeover and it's main feature, the Scare Games! July 11. Penguin Style. Freshen up your look with these fabulous finds! July 11. Featured Postcards. Welcome a new friend! July 18. Igloo Furniture. 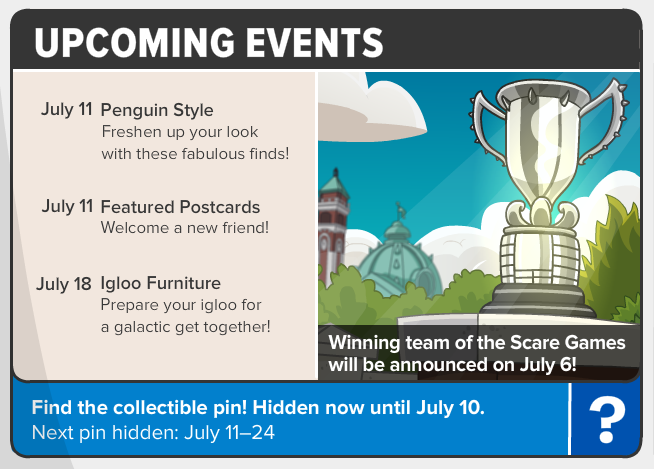 Prepare your igloo for a galactic get together! 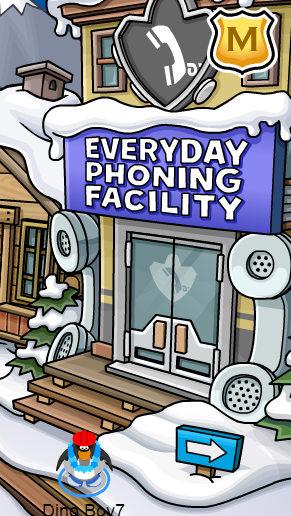 Club Penguin Everyday Phoning Facility New Exterior! The Everyday Phoning Facility (EPF room) on Club Penguin has had a new look on the outside after being destroyed by Herbert's evil plans. The outside however, is still under construction. Here are the "Puffle Digging" game cheats for Club Penguin. 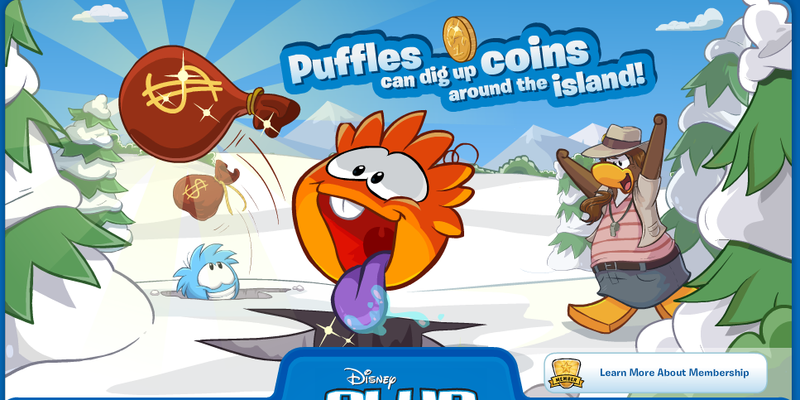 Puffle Digging is a new type of game that was added to Club Penguin on the Thursday update for the 20th June. It is the first type of it's kind and it is a fun-based game which allows you to make more of your puffle to earn coins. 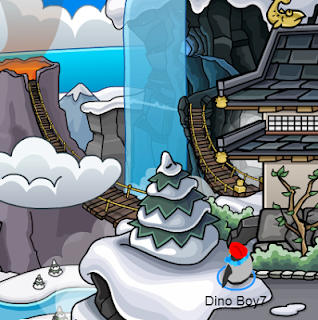 A penguin must walk their puffle across the snowy island of Club Penguin. 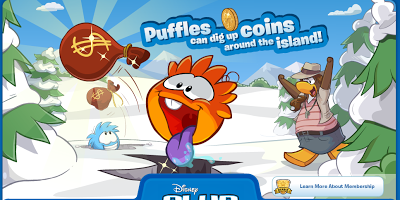 Eventually your puffle will start digging under the snow. 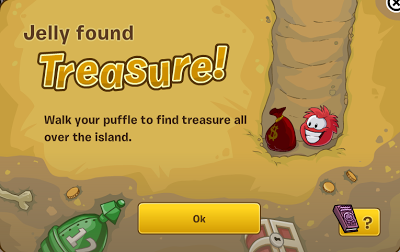 You will get a small message saying "[your puffles name] found Treasure!" along with a small pop-up to tell you how many coins. 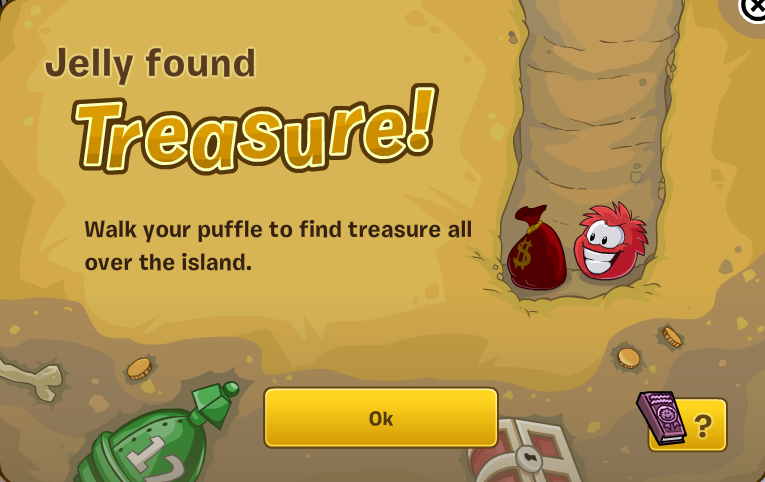 When your puffle finds these hidden coins, they go directly into your inventory. Here is the message that comes up. 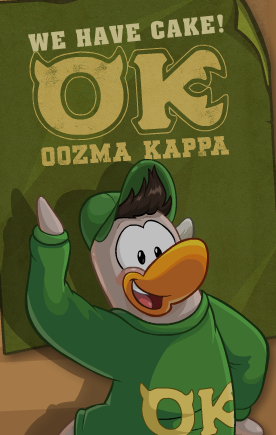 When you see it on CP, you can click "Ok" to dismiss it. 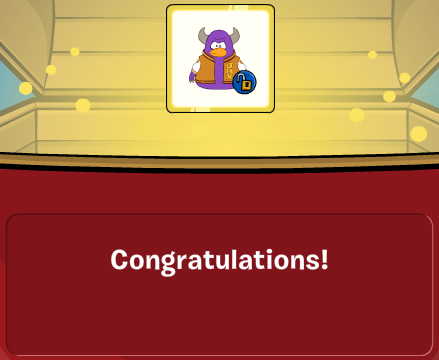 The tab to tell you how many coins your puffle found. 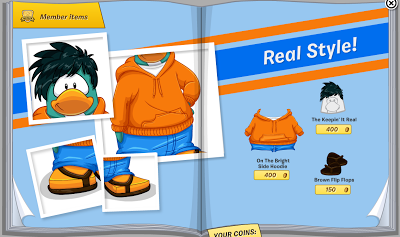 As you can see above, Club Penguin have also included this game in the Puffle Handbook in the Pet Shop, to let more penguins know. I find that puffles have traits similar to real life pets. Dogs are capable of digging underground to find bones, like puffles find treasure! My puffle is called Jelly. What's yours called? 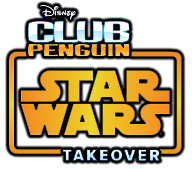 Club Penguin Star Wars Takeover Announced! I can't wait - a new takeover party is coming to Club Penguin! The Star Wars takeover party will be arriving to the island this year! The party will be held because Disney purchased Lucasfilm last year. It will start on July 25, 2013, and go on until August 13, 2013. Do you think this is a good or bad idea? Will it ruin or bring more attention to Star Wars? Comment below! 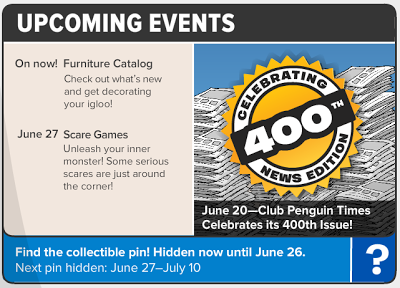 Club Penguin Times Newspaper Issue 400! IT'S HERE! The 400th issue of the Club Penguin Times has been released!! Aunt Arctic is very excited about this, and I'm sure you are too. There's a few things that have been going on recently, let's read more about them! There's been a change at the top to show 400 issues! Gather your team for the scare games, there will be four teams competing. 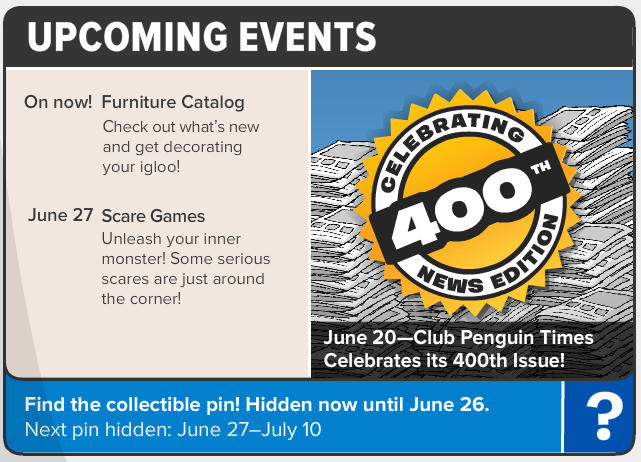 The Club Penguin Times is the island's source of breaking news - celebrating 400 issues! July 11. Penguin Style. Check out the latest and coolest summer threads! July 11. Featured Postcards. Send a new shout-out to an old friend! 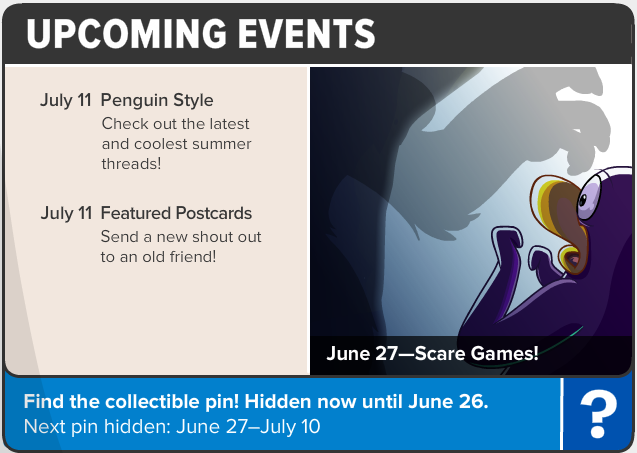 Club Penguin have added a new login screen to their website. 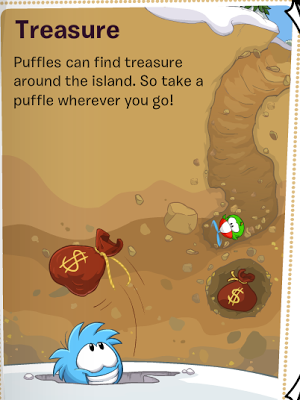 It is to promote the new game, Puffle Digging. Puffles can dig up coins around the island! Club Penguin New Stamps Coming Soon! Hey penguins! Polo Field made a post on the Club Penguin Blog with a sneak peek picture of some new stamps! They all have puffles on them, what will they be for? I wonder! 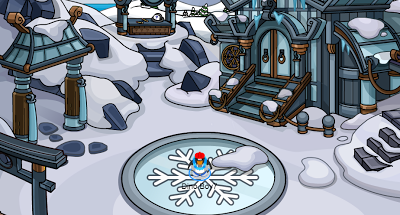 Club Penguin have released a new pin on the snow covered island! It is called the Neon Flamingo Pin, and is hidden in the Coffee Shop! To get more in-depth with this pin, use my Club Penguin Pin cheat guide below to help locate it. There is a step by step tutorial to help! Click on your map and select the Town (if you're not already there). Waddle over to the Coffee Shop and click the pin at the top left. Congratulations. You now have the newest pin on Club Penguin: Neon Flamingo pin!. Club Penguin fans, the 399th issue of the CP Times newspaper is here. 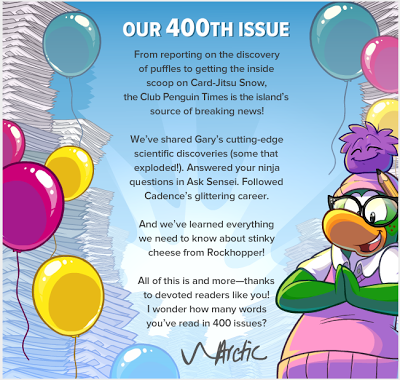 The next issue will be number 400! 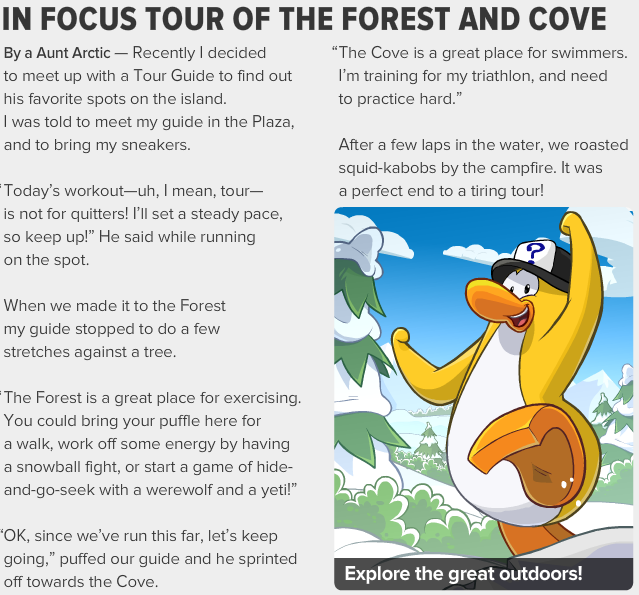 Today, we have a scare games update, an in focus tour of the Forest and Cove, and of course the upcoming events. On now! Furniture Catalog. Check out what's new and get decorating your igloo! June 27. Scare Games. Unleash your inner monster! Some serious scares are just around the corner! 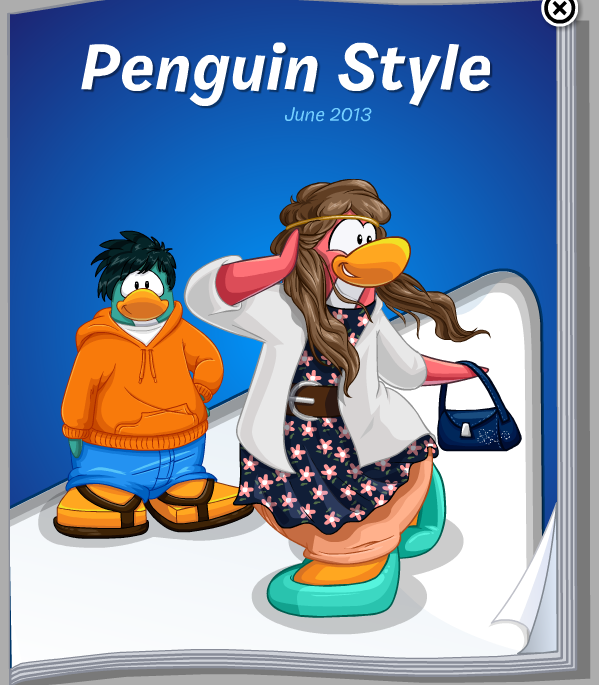 The Penguin Style clothing catalog has released its June 2013 catalog at the Clothes Shop on Club Penguin. It has a couple new pages of Monsters University themed outfits but no cheats this month. What?!? Anyway, I guess it's worth taking a look at the costumes so here you go, your June 2013 clothing catalog cheats. First off, the front cover. The first page of member clothes, including the keepin' it real wig, brown flip flops and on the bright side hoodie. Fashions for the free spirit on page 2. Daisy daydream outfit, the free spirit wig, seafoam slip ons and denim purse. Next page is the page with the beach dress, jock jacket, wigs and footwear. I am quite disappointed with this months catalog but Club Penguin are in preparation for a big party so they can't put all the effort into the catalog, when there's lots more costumes coming in the Monsters University takeover! Released yesterday on Club Penguin were two new login screens representing the Monsters University takeover party and it's features. One of them advertises the party and a few monsters and the other one? 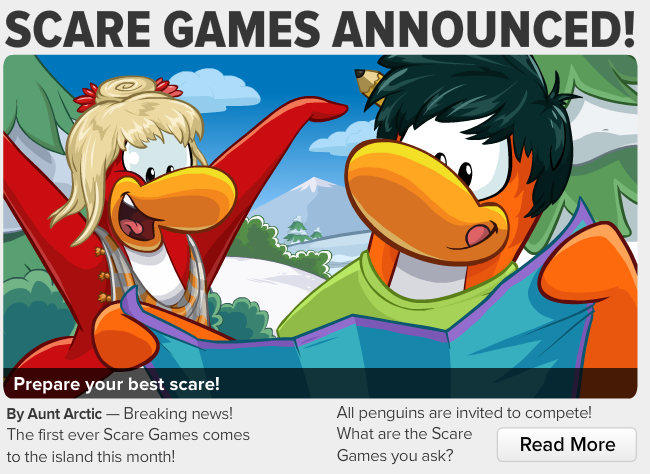 Members can scare more with exclusive costumes. ROAR! Club Penguin fans! The 398th issue of the CP Times newspaper is here. The scare games are announced, the elements are balanced, Aunt Arctic is on a roll guys! On now! Underwater Adventure. Don't forget your snorkel! Get washed away with this month's production at the Stage! On now! Penguin Style. Fabulous fashions for the fiercely free spirit! Now at the Clothes Shop. On now! Postcards. Make new friends! Send a Postcard today! Club Penguin fans! A new takeover party is coming up. 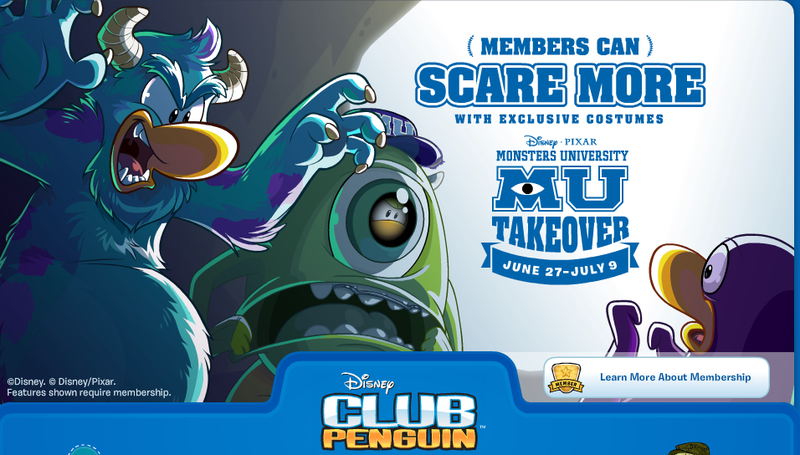 On June 27th we will be able to experience Disney's Monsters University as a party on CP! 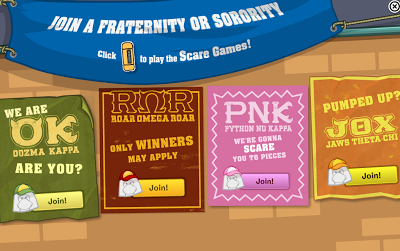 From the trailer below, it looks like we can dress up as monsters and compete in scare games for prizes! Aaaahh scary! I wonder how cool this party will be, I'm looking forward to tons of sneak peeks and other stuff from the Club Penguin team. Waddle on! Polo Field took to Twitter and told us about his 'silly remix' of Cadence's The Party Starts Now song. He uploaded his remix to YouTube and after watching it once, I can tell you I felt my IQ lowering with every 10 seconds of the video. So here, I present to you 2 minutes and 47 seconds of Cadence singing (if I recall correctly) "funky tune and this" to a very bad beat with some very 'special' special effects. Hello fellow ninjas! 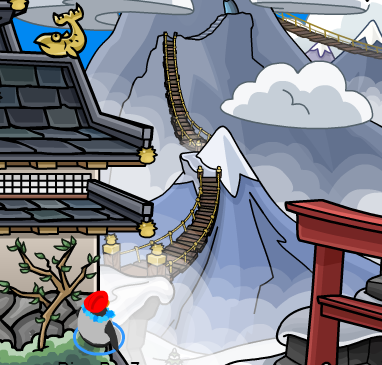 The Club Penguin Card-Jitsu Party 2013 is here! We have some major changes this year, including the new Snow element, many new items, and all new amazing challenges for us to complete. If you are having trouble with this party, or simply want to look at how cool it is, this guide is for you. 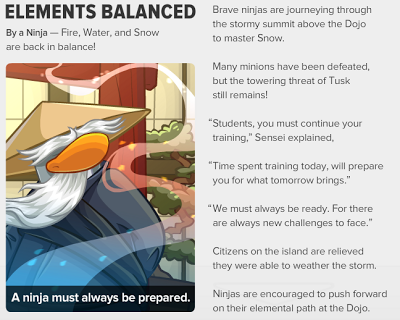 Today we will see the main features of the Card-Jitsu Party this year. Let's start off by logging in. You will see this message from Sensei. 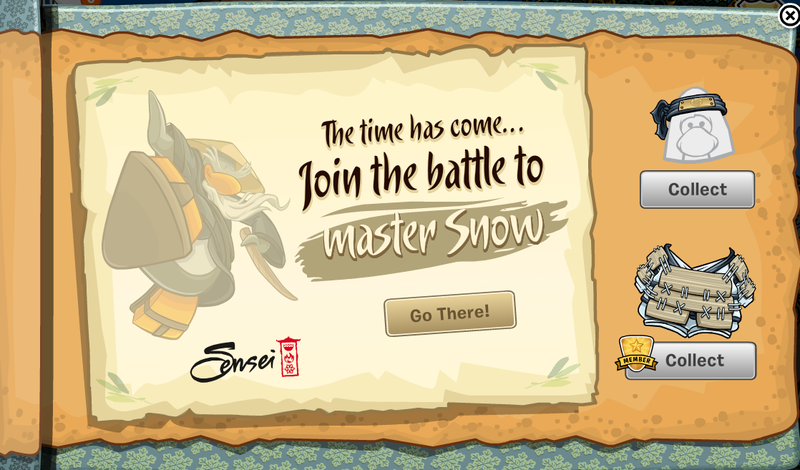 It says the time has come... join the battle to master snow. 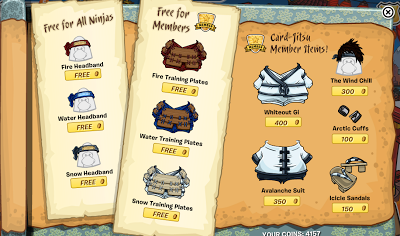 From here you can pick up your free item depending on your membership plan. Once you have clicked "Go There!" you will see that the Dojo Courtyard has had a revamp and you can see the paths to CJ Fire, Water and Snow. 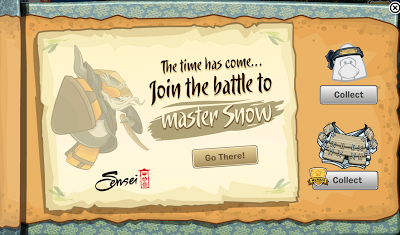 If you want to play Card-Jitsu Snow, head on into the Dojo, which has changed too. They have moved the Ninja Hideout into there so you can play all games in one go. Also, the Sensei is now in the middle, on his nice comfy cushion! Moving on to the decorated rooms. Each room on Club Penguin has it's own design according to the element. Snow is in the Ski Mountain and Village. Water is in the Forest and Cove. And Fire is in the Dock and Beach. 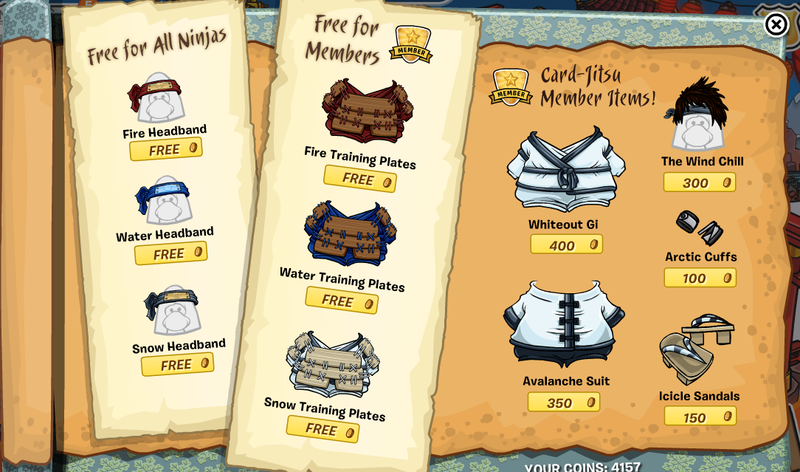 There are free items for all ninjas and members in the scroll located in the bottom right of your screen. There are headbands, plates, suits, sandals and more. I hope you have enjoyed reading this walkthrough/cheats guide of the Club Penguin Card-Jitsu Party of 2013. Remember to share this with your friends on Facebook and Twitter. But most importantly, waddle on!